Since the tragedy in Parkland, FL, the gun-control lobby has seized the national spotlight. 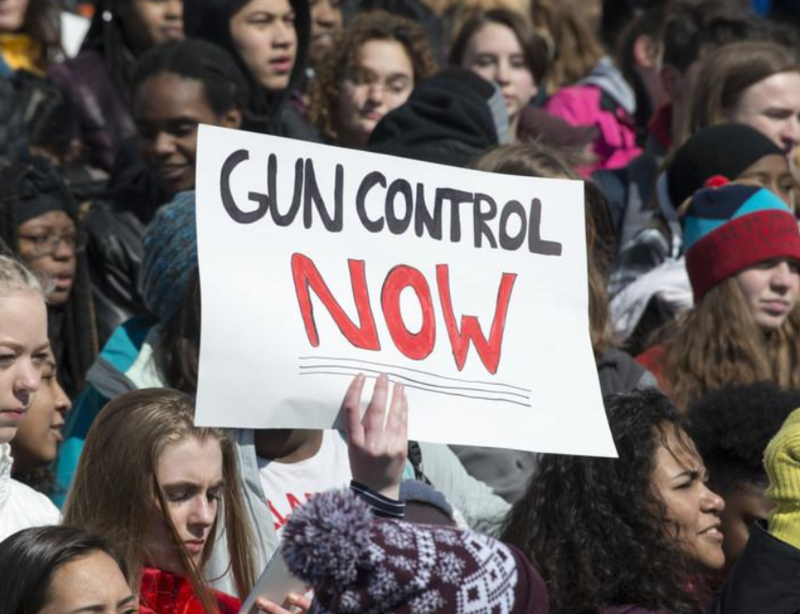 Groups like March For Our Lives and Everytown USA have organized marches, protests, and town halls calling for legislative action. While their demands have not been answered in Congress, the state legislatures have taken action. Since February, over half the states have adopted harsher gun laws in one form or another. According to the Giffords Law Center to Prevent Gun Violence this is an unprecedented period of success for firearm restriction. It’s no longer just California and Maryland that are passing the tougher legislation. Traditionally gun-friendly states like Utah, Oklahoma, and South Dakota have also adopted stricter measures. “We’ve seen governors from every part of the country sign strong gun safety laws this year, showing just how formidable the gun safety movement has become,” said Robin Lloyd, director of government affairs at Giffords. Firearm friendly governors have started signing gun-control legislation. Governor Rick Scott of Florida, who had an A-plus rating from the NRA, signed a “red flag” law allowing family members and law enforcement to petition to have firearms removed from individuals who pose a danger to themselves or others. There’s no question that the gun-control lobby has swayed the mainstream media and many of the state legislatures to their point of view. And with the midterms fast approaching and organizations such as Families versus Assault Rifles working to flip Congress, there may be soon be stricter Federal measures on the horizon. Yet despite the anti-gun fever sweeping the nation there is still a major roadblock to the gun-control lobby, the courts. With Brett Kavanaugh’s nomination and likely confirmation, the Supreme Court will soon have a more pro-gun outlook. The nation’s highest court could soon overturn many of these new laws, as it did in Heller v. District of Columbia. Already in the lower courts gun-control legislation has been overturned. The 9th Circuit Court of Appeals, based in San Francisco, overturned California’s ban on large magazines. The State Department is now allowing citizens to print 3D guns, puncturing a giant hole in anti-gun endeavors. The wave of gun-control legislation should alarm gun owners. More states are being persuaded by the anti-gun lobby to restrict Second Amendment rights. These measures are being challenged in the courts, and the checks and balances provided in the Constitution are preserving the rights of gun owners. Yet if the gun-control lobby continues to gain momentum, tougher gun laws could soon be a reality in all 50 states. What do you think? Does this wave of tougher legislation concern you? Let us know in the comments. They hate guns until they need one. I give to the NRAILA and expect them to challenge these buffoons. Maybe if we had better mental health care in this country, guns wouldn’t be the issue. I agree with Stoley *maybe if we had better mental health care in this country, guns wouldn’t be the issue. I second this. United States does not have a gun problem. The problem resides with undiagnosed mental illness or the science available to effectively treat those illnesses, starting with all the brain dead libtards lobbying gun restrictions! And a stricter justice system that would impose penalties for breaking the law that would actually deter crime. Every single gun control law passed in this country will not stop the violence simply because criminals will not obey them The laws only punish law abiding citizens. of my son. He lived in Boston. Boston forbids honest citizens from bearing arms. My son owned a pistol, but when he went out that evening he had to leave it in his apartment. Hell before I vote for a criminal-kissing Democrat! Any law abiding citizen who is not a felon should own guns and carry them openly or concealed other than a courthouse in all states. Keep the Constitution intact and follow it! Those are valid concerns, but unfortunately may be exactly the opposite problem. The current treatment of mental health is toxic drugs with no test to determine what is needed, no test to determine if they work, and no “scientifically known” method of action. As a result, every one of the mass shootings in the last 20 years have been in part because of psychotropic drugs. These people are being treated for mental illness, and the treatment is causing violent behavior. BTW, the number 1 listed side effect of such fake and toxic drugs is suicidal and homicidal behaviors. The drug lobby is worse than the gun lobby covering up such statistics.